Core Timing is Ireland’s premier, full-service race management company, supporting a wide range of sporting competitions and events with all race requirements, primarily sharing finish times and key updates with participants. 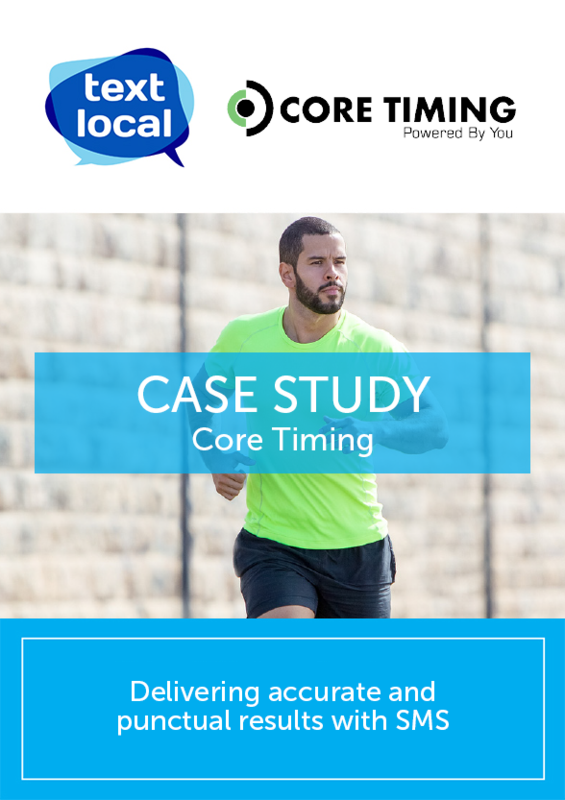 Accuracy and punctuality were a pivotal part of Core Timing’s decision to start using SMS to share key messages with participants. Using Textlocal’s browser-based SMS system meant it was far quicker and easier to upload all finish times at once and simply use the inbuilt custom fields to create personalised messages that could be sent in bulk. Core Timing has found using SMS in place of other communications highly effective with far higher read rates, which is particularly important when it comes to sharing cancellation notifications in real-time due to poor weather conditions. Textlocal offers great value and customer service, Ryan is always on hand with support and never fails to call me back. I really appreciate the check-in calls, just to see how I’m finding the service and if there’s anything else Ryan can do to help.